« Soft vs Hard Cushions for Tailbone Pain, Coccyx Pain. Which cushion is best? Can A Woman Give Birth Vaginally After Coccygectomy? 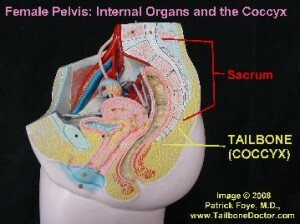 Giving birth to vaginally can cause or worsen coccyx pain (tailbone pain, coccydynia). During childbirth for a vaginal delivery, the baby passes through the birth canal, which can cause pressure and trauma onto the coccyx. Theoretically, if a person’s coccyx was removed, it is therefore “out of the way” and no longer obstruct the birth canal. Still, most people have some degree of ongoing discomfort/pain in the coccyx area even after coccygectomy. So there is a risk that pregnancy and especially giving birth can make the pain even worse. Certainly no one can guarantee whether a vaginal delivery will or will not flare-up a given individual’s pain, even after coccygectomy. I do not know of any published study showing how patients do with giving birth vaginally after coccygectomy, so there is not really any substantial research-based data upon which a given person can make their decision. So some of the decision comes down to what makes the most sense for a given woman. For my own patients, if someone had a coccygectomy and is now considering giving birth vaginally, I generally use their current level of coccyx pain as a ballpark indicator of how much risk there would be for the vaginal delivery flaring up the pain in that area. There is no one “right” answer that will work for *all* patients. Each patient needs to discuss the options with their in-person treating physicians. Female Pelvis, showing the Uterus, Sacrum, Coccyx, Tailbone, etc. 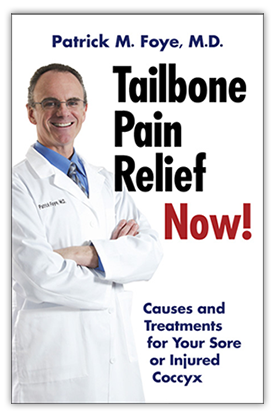 GET THE BOOK: To get your copy of the book “Tailbone Pain Relief Now!” go to: www.TailboneBook.com or go to Amazon. - Patrick Foye, M.D., Director of the Coccyx Pain Center, New Jersey, United States.